Retro Gamer: How Refreshing! How Fruit! 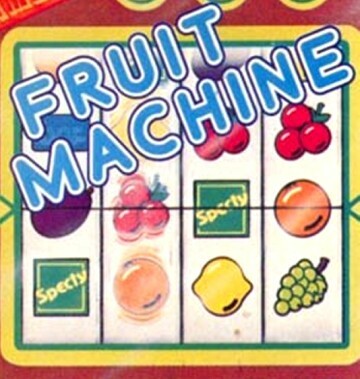 Stuart Campbell was so taken aback by the universal popular acclaim for his videogame pinball spinoffs feature in RG45 that by public demand, he’s written one about fruit machines too. Viewers in the first group should probably move on to the next feature right now, because this piece belongs very much in the latter camp – to this reporter, there’s hardly anything in gaming more fascinating than an attempt to translate highly distinctive gameplay values to totally unsuitable-seeming platforms, whether it’s making a boardgame out of Centipede or converting Tempest to the ZX81. 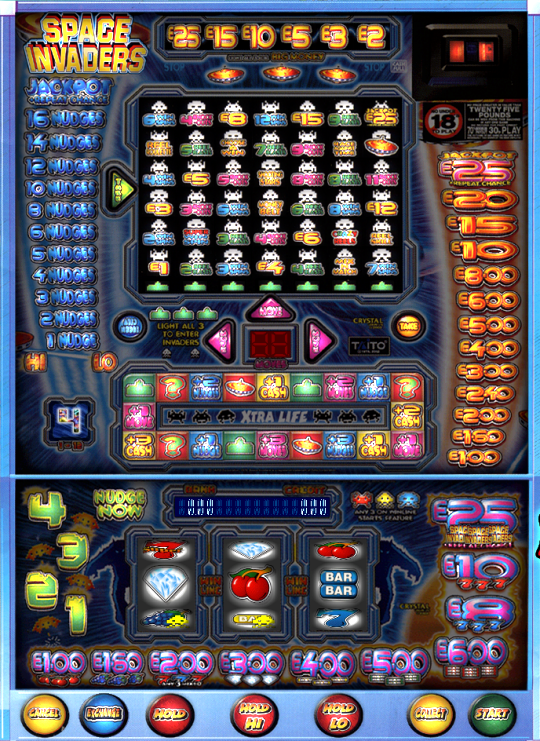 And there can be few more challenging tasks for a game designer than bringing an all-action arcade game into the low-tech money-sucking realm of the fruit machine. The modern amusement arcade is a very different place to the one of the golden coin-op era of the 80s and early 90s. The actual number of arcades hasn’t declined all that significantly in the last 20 years, and most of them are still in the same place and look the same on the outside, but where the interior used to be full of videogames, almost all city-centre arcades (and even a lot of seaside ones) are now mostly or entirely populated by no-armed bandits. But the superstars of gaming weren’t going to be pushed out as easily as that. We’ve seen in previous issues of RG how classic videogames have colonised other formats like board games and pinball tables, and fruit machines (or AWPs as the arcade industry calls them, standing for Amusement With Prizes) were to be no different. With vastly varying degrees of success, coin-op companies have for years been bringing your favourite videogame stars, like washed-up boxers greeting casino visitors, into the adult world of gambling. So grab your fake ID, quickly grow a moustache, and try to look like your dad as we sneak into this magical palace of – quite literally! – forbidden fruits, and try not to get ourselves grabbed by the bouncers. Madam. For no particular reason, we’re going to look at videogame fruit machines in roughly the chronological order of the original games they’re based on, so we start with what’s actually one of the more recent AWPs to hit arcades – Crystal’s interpretation of Taito’s seminal Space Invaders. While we’ll see games later on that are more faithful to their inspirations, there’s a pretty decent Invaders vibe here, not least in the shape of the large squadron of space baddies that form the central feature board. Once you’ve earned your way onto the reel loop below, you build up Laser Base “lives” to access the feature board, and moves that allow you to aim at specific invaders on the board and collect the cash values or features they guard. You can also shoot down the Mystery Ship to get yourself into the Big Money bonus area. The AWP game employs lots sound and visuals reminiscent of Space Invaders 95 (see The Definitive Space Invaders in RG issues 41 and 42) to capture the atmosphere of the 1979 original, and much like its monochrome predecessor it’s an absorbing and tense game which balances risk and reward on a tantalising knife edge. All fruit machines do that by their very nature, of course, but it’s rarely put into such sharp relief as it is here by the constant thud-thud-thud of the trademark Space Invaders heartbeat - making the two artforms, on this occasion, a particularly good match for each other. to hear that this particular style of gameboard is known in the AWP industry as a “lapper”.